Last week, on the historic date of March 19, 2017, (in online journalism) The Cut officially tried to make millennial pink happen. According to Instagram, it’s already happening as It girl Hannah Bronfman used it as the caption for one of her photos the day after the listicle was published. The Cut‘s contribution is a somewhat revisionist look at the history of the color pink. Claiming that from the year 1767–250 years ago–the world has been primed for the dawn of millennial pink. Who knew that Jean-Honoré Fragonard spent hours on his painting “The Swing” just for the eventual millennial adaptation of red meets white. The ego has landed. Per writer Lauren Schwartzberg, “…by the summer of 2016, the color had mutated and expanded to include a range of shades from beige with just a touch of blush to a peach-salmon hybrid.” Schwartzberg clearly worked very hard on this piece, as it is a lengthier, fuller leaf of the branch The Cut nurtured last year when it asked in a headline, “Is There Some Reason Millennial Women Love This Color?” The color being that confluence of pink and beige that becomes a subdued salmon. (Correct?) 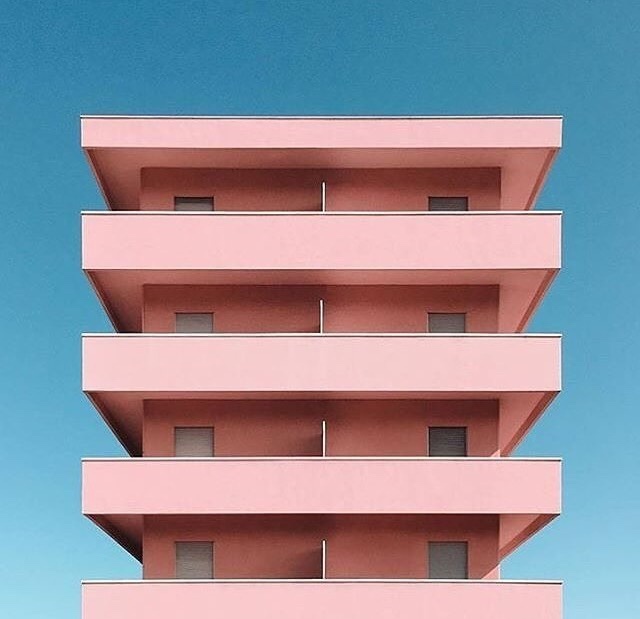 I can agree that this particular hue is noticeable when looking at it in an infographic or a collage of ads and images from fashion and recent art. But I rolled my eyes, followed by a chuckle, because “Why Millennial Pink Refuses To Go Away” is the latest example of online journalism running wild with its creative license or cooking up stories or theories because it can. This is the kind of verbiage that only Instagram-based and pop culture, as in E! News and I only wash my face in Glossier products, news circles appreciate. Granted, I wouldn’t bypass The New York Times to feature a story like this either. In 2006, they published a piece on the popularity of jet black nail polish, a color once regulated to the goths of your local mall and fan girls and boys of The Cure. But is anybody really going to a Uniqlo or Forever 21 flagship and asking, “Do you have this top in millennial pink?” You’re just begging the salesperson to look at you like a spoiled brat. (Though that may not be the case in New York City’s Soho, where Cut readers and writers likely congregate on the regular and take all Alexa Chung endorsed drops for Madewell very seriously on opening day). I can nod my head to the notion that “millennial pink” is a nice way of using and interjecting the color pink without the shade appearing overwhelmingly child-like or presumptuous. Schwartzberg shared a valid point in that it unexpectedly coincides with the current do-gooder gumption of representing inclusivity in gender, sexuality, and race across brands, community centers, and support groups. “In these Instagram-filtered times, it doesn’t hurt that the color happens to be both flattering and generally pleasing to the eye, but it also speaks to an era in which trans models walk the runway, gender-neutral clothing lines are the thing, and man-buns abound. It’s been reported that at least 50 percent of millennials believe that gender runs on a spectrum — this pink is their genderless mascot.” I can’t confirm the last statement as an older millennial myself and haven’t heard my fellow Gen-Yers or ’90s babies proclaim millennial pink as the future. The context is nonetheless noted that this shade could be used as a symbol of better together intentions, even if living in an era of political uncertainty under Donald J. Trump. The listicle is a cute read. I love a good timeline and was curious to see once it got to the late ’80s and ’90s, what moments in pink I would recall. I found this one nugget of knowledge hilarious in that apparently, in 1968, Luis Barragán requested “entirely pink meals” while completing the Caudra San Cristobal (that was of course, for The Cut‘s sake, pink). Now, what the hell is a “pink meal”? Lots of ground beef? (Somebody please explain). This week, by chance, Food52‘s Instagram page posted a picture of perfectly sliced pieces of champagne cake in a perfectly executed flatlay and made sure to include the trendy locution of “millennial pink”: “The “Millennial Pink” trend is here to stay, so you may as well embrace (and celebrate!) it with this pale pink champagne cake.” I felt redeemed when I scrolled the comments section and amongst the “YUM” and “Can we make this?” Statements in direct combat included “Come on, I embraced pink before the millennials.” “Why is pink a millennial trend again?” And the best retort in the form of “When we did we stop calling it “Blush”? ?” The petty in me loved the petty in the comments. Back to the listicle, the only note from the ’90s was that in 1998, photographer Juergen Teller snapped Kate Moss in bed with blaring, actually fuschia, pink hair amongst white sheets. Big whoop. (If you’re a major fashion junkie, you may recall this as the same shade she had while strutting the Versace runway in 1997). Receipts of a millennial pink ascension were found in the 2000s-onward, such as Paul Smith opening a “neon-pink store” in Los Angeles in 2005, and in 2007, the arrival of Acne Studios’ pale pink shopping bag. (Again, very recognizable if you’re into fashion or pay great attention to downtown New York). In February 2013, designer Ryan Roche debuted her first clothing collection and exclaimed to have been inspired by the ’80s cartoon and toys My Little Pony. 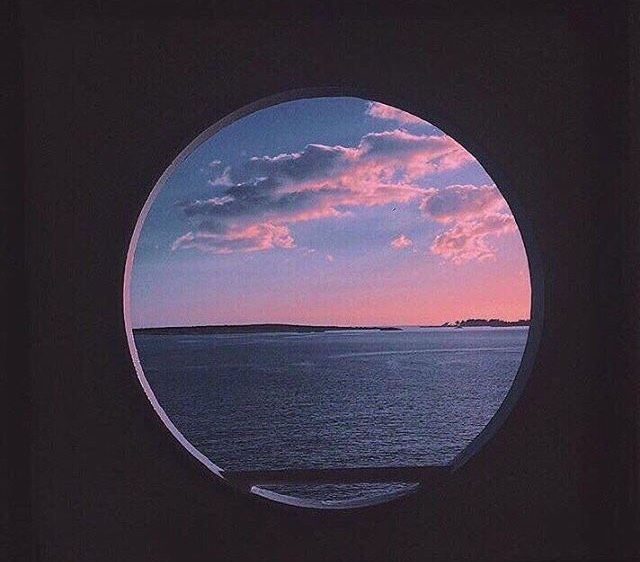 Per The Cut, Roche said: “It wasn’t that baby pink, it was the earthier dusty pink.” By December 2014, “Tumblr pink” had embarked on Internet ground following “seapunk”, the aquatic trend that for a time ruled the assemblage-induced platform of Tumblr and was immersed in the tones turquoise, teal, green, and blue. At this point, I remained unconvinced of this “millennial pink” stuff. The moments in pink just bounced around in a pentagon shape of standard pink, salmon pink, hot pink, to baby pink, and geranium. (Oh yeah, I’m pulling out the flower shades now). Pink has always been a common choice of color for decades, hell, centuries, because of its assumed position for extremely specific emotions and ties to femininity. What is the groundbreaking discovery here? Additionally, I got a complaint. 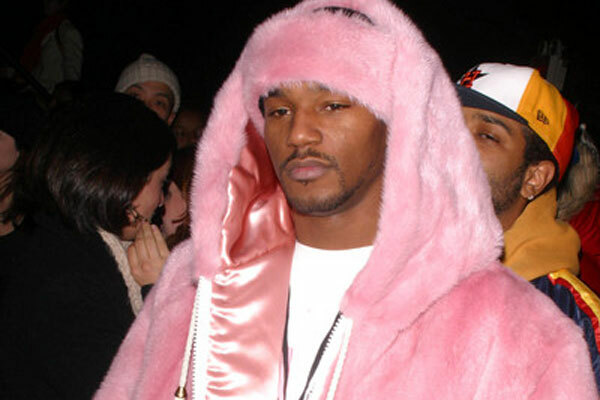 If we’re going to go down the pink brick road of memories, where was Cam’ron‘s epic pink ensemble at the Baby Phat show at New York Fashion Week in 2003? The Harlemite stepped out in a hard to look away, glowing pink mink coat, with matching sweatband and became the unforeseen darling of the bi-annual event. If you hadn’t heard of Cam’ron (um, where were you in 1998?) you knew who he was then. The outfit has since become immortalized through women-oriented streetwear brands delivering limited edition bikinis and tops with the famous pink outfit on it. The Grammy nominee spoke on his Fashion Week moment in 2013: “To be honest, all the stuff, even now that’s coming out, I didn’t really plan to do it, I just always try to be different. It’s like, I got all my jewelry in a box in the house, I refuse to wear more than one chain because everybody now is wearing 3, 4, or 5 chains, I just try to do what’s different. The pink thing happened, basically Dame was going to Fashion Week a lot at the time, and I’m like, ‘I need to stand out, it’s Fashion Week.’ And I wore the pink mink there and had everything pink and it just started going crazy, and I’m like, ‘I’m gonna run with this.’ Even people were calling me like, ‘what’s next year’s color? '” He also heavily featured pink in the music video for “Hey Ma” and drove around in a pink Range Rover during the time of his albums Come Home With Me and Purple Haze. 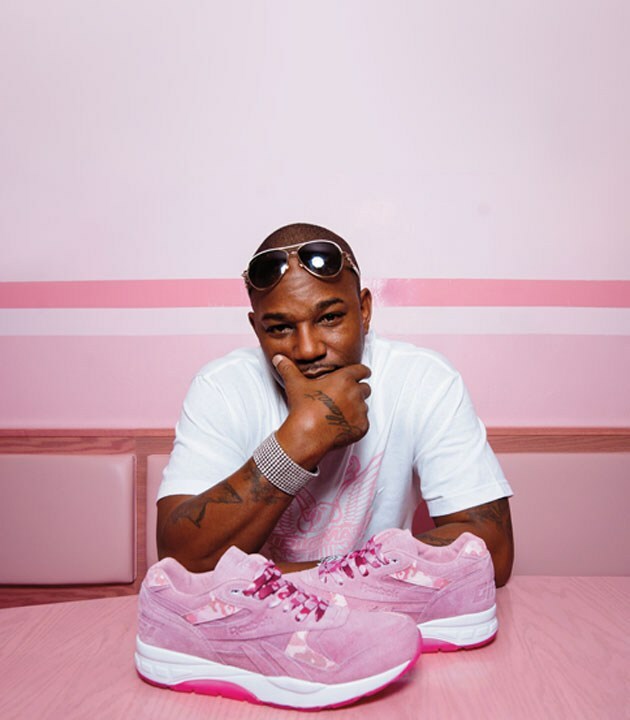 In 2016, he released a limited edition sneaker drop for Reebok, with his kicks doused in pink. How did The Cut miss these images in the journey to millennial pink? Ergo, it was above and beyond to include a brief history of the color rose gold within the “Millennial Pink” timeline, I want to know who said it was okay to overlook Beyonce‘s “Check On It” video for The Pink Panther film she starred in from 2005? The video set was the original Pietro Nolita, a restaurant in New York City that’s nauseatingly pink from floor to ceiling. And wait! There’s more! There was no mentioning of the Eloise Suite at The Plaza Hotel, designed by Betsey Johnson, dripping in lots of pink and gold (and an awesome $995 a night). Or Solange wearing a ballet slipper pink coat in the serene “Cranes in the Sky” clip. No love for Big Baby D.R.A.M‘s “Cash Machine” video where the rapper is uber-happy in his head-to-toe pink athleisure gear. Then there’s the blatant omission of 1986’s Pretty In Pink. The Cut, I’m disappointed in you. By 2015, the list was picking and grabbing interior design, book jackets, and celebs that for reasons business and personal selected the color (millennial) pink. So what. “Why Millennial Pink Refuses To Go Away” was a slightly creative project for New York Magazine‘s The Cut considering the history that was researched. Even so, it was ultimately a game of trickery in convincing its readers of a trend that really isn’t all that amazing. To clarify once more, pink, no matter its varying shades has never been out of style. It is as classic to consider as black, red, or blue. A particular shade within may be having a moment, but popularity is fleeting in fashion and advertisement, even if fleeting is a three-year adventure. 2015-2017’s millennial pink rage was the “normcore” obsession with dry tans, off-whites and ’90s inspired Gap jeans before. So The Cut was smart to hop on this assumed fad but it was more so an adorable case of reinventing the (color) wheel while pandering to the Instagram generation. Appropriation of Black Culture for commercial exploitation is a never-ending cycle.